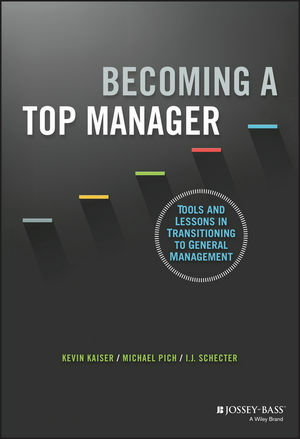 KEVIN KAISER is Professor of Management Practice at INSEAD and Director of the Transition to General Management programme and Director of the ABN Amro Managing for Value Research Fund at INSEAD. He was formerly Visiting Adjunct Professor of Finance at Kellogg School of Management, Northwestern University. MICHAEL PICH is Dean of Executive Education at INSEAD and was Director of its Transition to General Management Programme. He is a Senior Affiliate Professor in the areas of Technology and Operations Management, and Entrepreneurship and Family Business. I.J. SCHECTER is an award-winning author and journalist, and CEO of The Schecter Group, a leading global communications firm serving Fortune 500 clients.